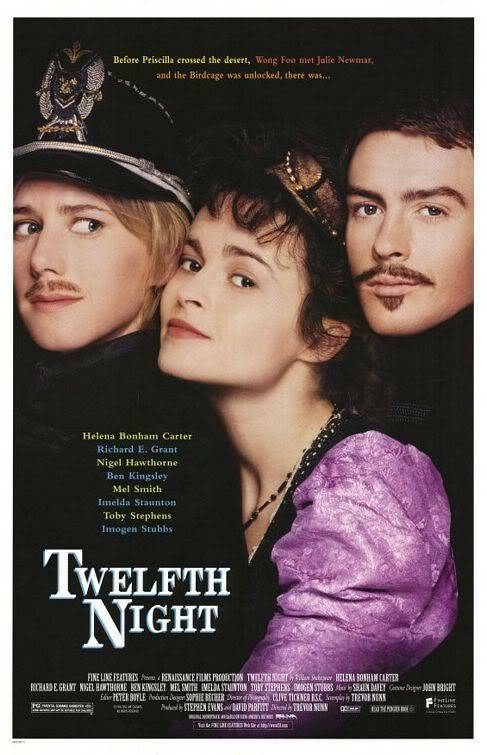 A good adaptation of one of my favourite Shakespeare comedies. Funny where it should be funny, with great acting and it is not even mawkish (the film directors often unnecessarily exaggerate things in the movies based on Shakespeare's dramas). I also very much like the song Sir Ben sings at the end of the film. He sings, does he? I don't like Helena Bonham Carter. I don't like Helena Bonham Carter. Why? I don't like her much in this movie, but generally I think she's a very gifted actress. I don't know. I just don't like her style very much. I just don't like her style very much. She often creates a quite demoniacal image of herslef, which can be irritating. She's not one of my favourite actresses either. Liked Ben's singing in this , not a bad voice. Ah yes! I have heard him sing before, only it was in "Triumph of Love". Quite a good voice, yes.